Infants and children who have a heart defect or require heart surgery need to be cared for by a team of highly trained specialists in a facility that is designed to meet their needs. Not all hospitals that perform pediatric heart surgery are created equal. At CHOC Children’s, we’ve compiled a list of questions to ask your medical provider and hospital before your child has heart surgery. Does your hospital’s heart program use only specially trained and board-certified pediatric cardiac intensivists, cardiologists and cardiac surgeons to care for your child? Pediatric heart surgeons offer a system of care that embraces the special needs of infants, children, and teens, as well as their families. They work very closely with pediatric cardiologists, and help diagnose heart conditions and put sound treatment plans in place before and after the surgery. 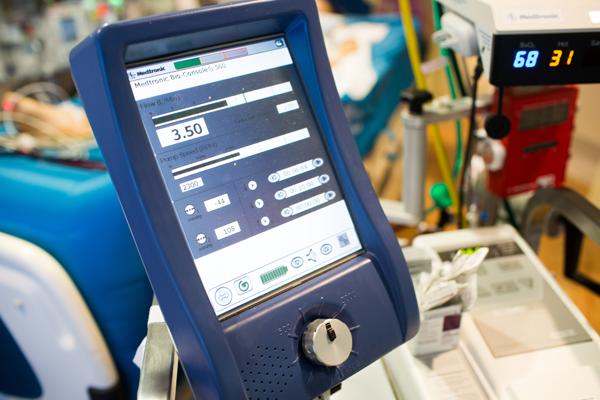 A pediatric cardiac intensivist has additional training in caring for critically ill children in the cardiovascular intensive care unit (CVICU). 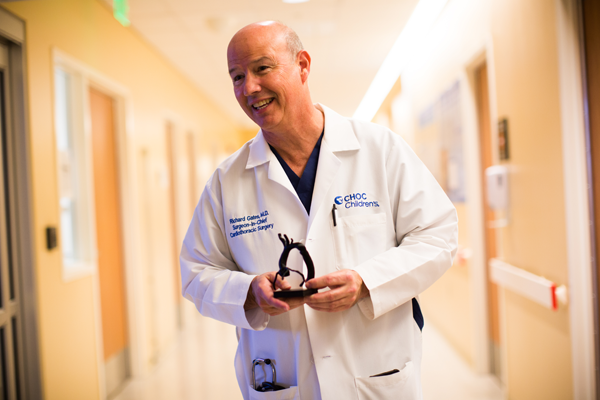 Does your child’s hospital have more than one pediatric cardiac surgeon? If an emergency arises and your child’s surgeon is not available, it is important that equally trained board-certified specialists are available. Pediatric heart surgery is a team effort. Does your hospital have specially trained cardiac nurses, anesthesiologists and perfusionists (people who operate the heart-lung machine during surgery), in addition to a board-certified pediatric cardiac intensivist and thoracic surgeons? Pediatric heart surgery patients have very special needs and require a team that has special training in cardiac procedures and treatment. Does the hospital you’re considering have a CVICU, a specialized intensive care unit just for children with heart problems or who have had heart surgery? And if so, is the CVICU staffed by specially trained heart nurses and medical staff? Specialized CVICUs have been shown to improve patient outcomes and reduce complications. Does the hospital have immediately available life-saving ECLS (artificial heart support) for patients who have sudden cardiac arrest, as well as trained staff for ECLS in the hospital 24/7 for rapid deployment? Rapid deployment of ECLS, also referred to as ECMO, has been shown to improve patient survival after heart surgery. CHOC is a platinum-level Extracorporeal Life Support Organization (ELSO). As a platinum designation, CHOC is among the highest scoring institutions worldwide. The award is recognized by U.S. News & World Report and Parents magazine as one criterion for top institutions. Does your hospital or CVICU, allow you to stay with your child after surgery, even overnight? Many hospitals have limited visiting hours, even for parents. A top-notch children’s program allows parents to be with their children 24/7 outside of medical procedures, and will even have private rooms with beds for a parent. Does your hospital encourage you to be a part of your child’s care plan by listening to your concerns and requests, and even allow you to be a part of the medical rounds with your child’s medical team? Remember, you know your child better than anyone and are often the first to notice if something needs a doctor’s attention. Do you know the survival outcome rates of your hospital? A reputable hospital will report their surgical outcome rates to the Society of Thoracic Surgeons (STS) for the public to see. Is your child’s hospital Magnet designated for nursing excellence? CHOC is a Magnet designated hospital by the American Nurses Credentialing Center. 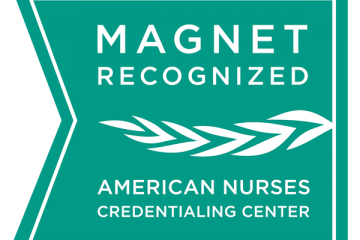 Magnet recognition honors healthcare organizations that demonstrate excellence in nursing practice, adherence to national standards, and commitment to the highest quality of care and patient safety. What is the patient and family experience offered at your hospital? Children are not small adults and need different medical care and emotional support during stressful or painful situations. A child-focused heart program will provide child life specialists that work with the patient and family to provide specialized programs such as playroom and bedside activities, pet therapy, music therapy, art therapy and sibling programs to help ease the fears and stress associated with a hospital stay.